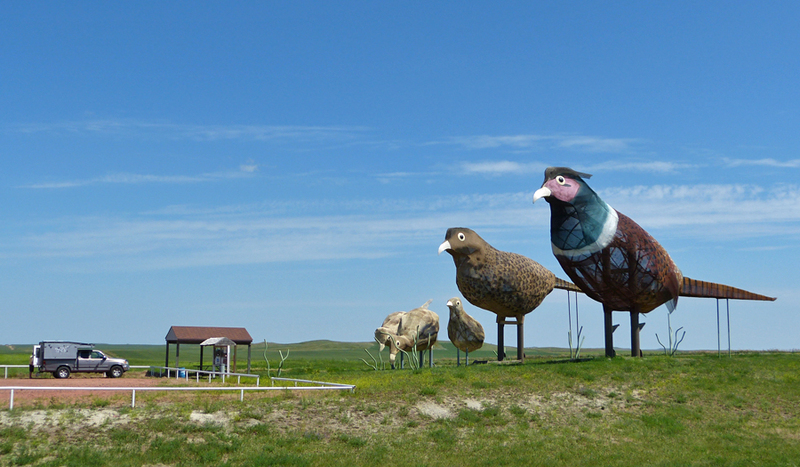 In the small and dying town of Regent ND a retired school teacher and sculptor got the idea to revitalize the economy by putting the road to Regent on the map through creating a series of huge metal sculptures along the drive! The Enchanted Highway was born! What a wonderful, unusual idea to address a depressed region. The sculptures include flying geese, leaping deer, grasshoppers, an underwater scene, Teddy Roosevelt, pheasants and a tin family. All super-sized. Hey, that’s cool, a screen-saver. I’ve thinking of turning some photo into a slideshow screen-saver . . . someday. 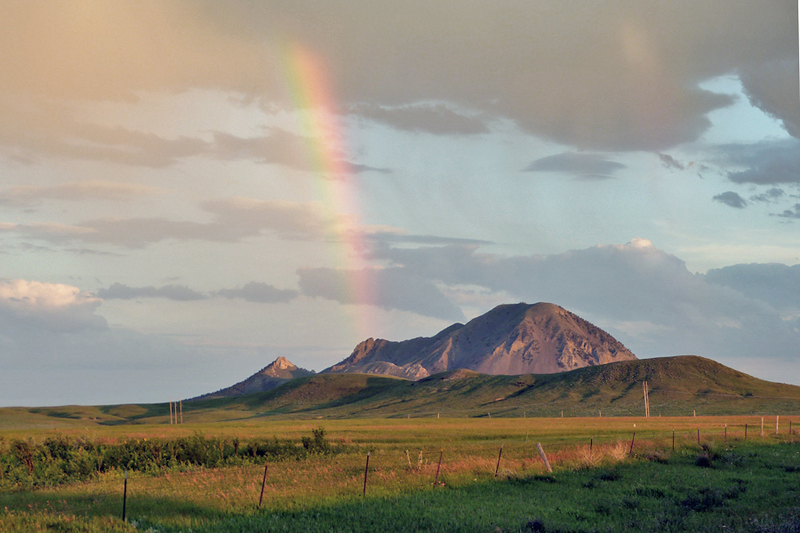 After time in the Black Hills and the Badlands, we came back to Bear Butte, the one in the rainbow photo, partly because the campground/park is small and quiet and mellow, not packed with people liked BH and BLs. Yesterday we made a pilgrimage up the holy mountain, meditated, did prayers and blessings. The prairie dogs were pretty funny and entertaining to watch; you’ve probably seen quite a few yourself. Those photos I posted were the most anthropomorphic of the ones I took. I could have spent more time just watching and snapping the occasional photo. When we first arrived a red fox was crossing the prairie dogtown and the little rodents were up in arms, calling out alarms to all, standing by their holes in groups. What was also special there was that the town was covered in lush grass and flowers instead of the usual dried dusty dirt.